Congratulations Siri Pettersen! 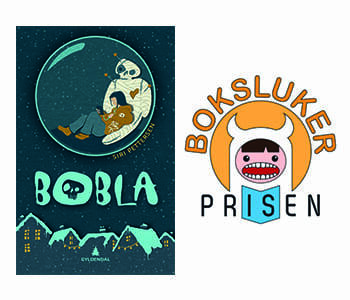 BOBLA is nominated for the Norwegian Bokslukerprisen (somewhat translated to “Bookworm Award”). This means that around 80,000 students will vote for their favorite book. Bokslukerprisen is a free and national reading campaign for primary school. Students in Norway’s 5th and 6th grades will vote for their favorites books based on excerpts from an anthology with text excerpts from 10 books for the target audience. Good luck BOBLA and Siri!